When I first started making pens, I organized them by shape, size, and how the cap fit against the body when it was closed. After a while I decided to come up with some proper names to make it easier to browse through all the pens I’ve made. Where to draw inspiration from though? I asked around and was offered all sorts of ideas. With a name like Newton it would be easy to draw inspiration from Isaac Newton and give all the pens science related names. I felt like that was pushing it though. While I love science, naming my pens after famous scientists didn’t feel right either. The first year I gave out scholarships, I asked the two students to pick a style of pen from my site and name them. This is how we have the Gibby and Elizabethan. After those two were named, inspiration for the others just sort of presented itself. I live in an old part of Hot Springs. Lots of Victorian styled houses and amazing old architecture all around me. I’m always awed by the old homes and businesses when we go out for walks downtown. One afternoon on one of these walks I was staring at the windows of the now burned down Majestic hotel, and talking about the details of the architecture with my wife, and thought what a perfect way to get names: historic hotels and buildings from Hot Springs. Some of the buildings are less historic than others, but the names were too good to pass up. You can see some old photos here before it was restored and turned into The Waters hotel. It’s gorgeous! Photos from inside the abandoned Majestic with updates detailing the fire and demolition. If you look at the middle section below, where the sign is, you can see where I nearly fell to my death while working on that sign. I touched a part of the sign that wasn’t supposed to be hot only to be shocked when it was. The old transformer thankfully wasn’t putting out it’s full 14,000 volts or I might not have made it. The Eastman is one of the hotels that has been gone for a very long time. It was torn down shortly after World War II, after it had been used as a hospital for injured soldiers. The Army/Navy hospital that is still standing didn’t have enough beds, so the Eastman, which was right across the street, was turned into a makeshift hospital. 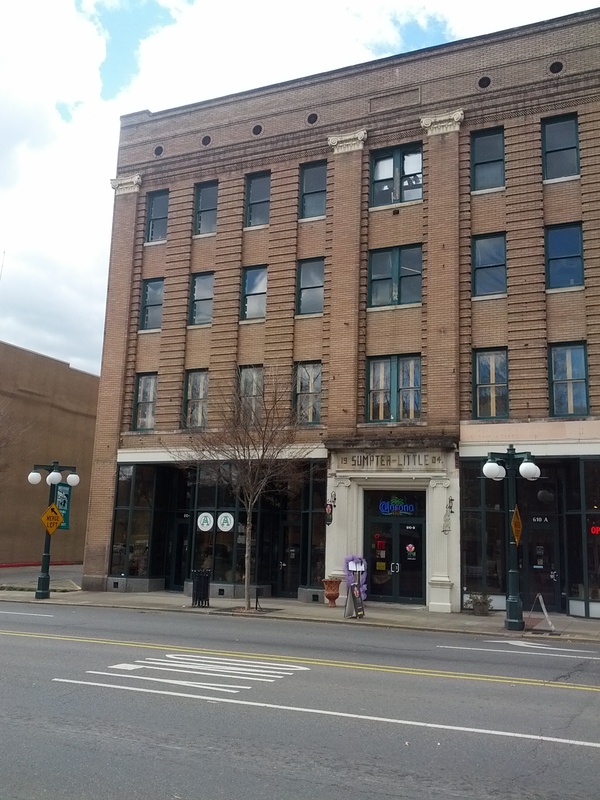 Many of the old apartments built up downtown were built to house soldiers after they were discharged from these places. 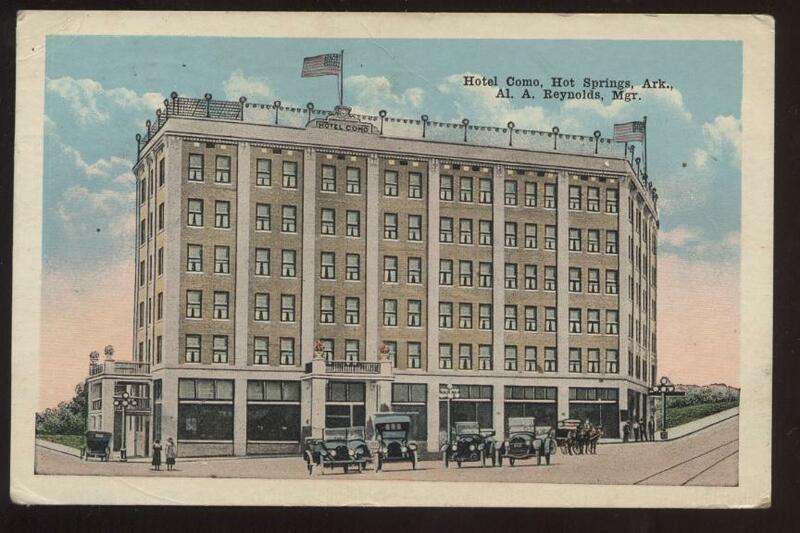 In August 1944 the Army took over most of the hotels in Hot Springs. The soldiers from the west-central states received a 21-day furlough before reporting to the redistribution station. They spent 14 days updating their military records and obtaining physical and dental treatment. The soldiers had time to enjoy the baths at a reduced rate and other recreational activities. The redistribution center closed down in December 1945 after processing more than 32,000 members of the military. In 1946, after the war, the Eastman was demolished when the federal government no longer needed it. This old building just has one of those great names. It’s been filled with art galleries and restaurants over the years. This building is about to get new life breathed into it. You can just see the new sign over the door. The Como was one of those fireproof hotels that later burned down. This pen’s name, like most of my models, is inspired by historical places here in Hot Springs, Arkansas. Maxine’s is a bar and venue today, but has a pretty colorful history. Maxine Temple Jones was the owner of it for many years, running it as a hotel, and according to many of the locals, as a brothel. This little pen gets its name from The Vapors night club here in Hot Springs. It hasn’t been a night club in decades, most recently a church called The Tower of Strength, but the history is still there and quite interesting. It’s been empty the last few years. 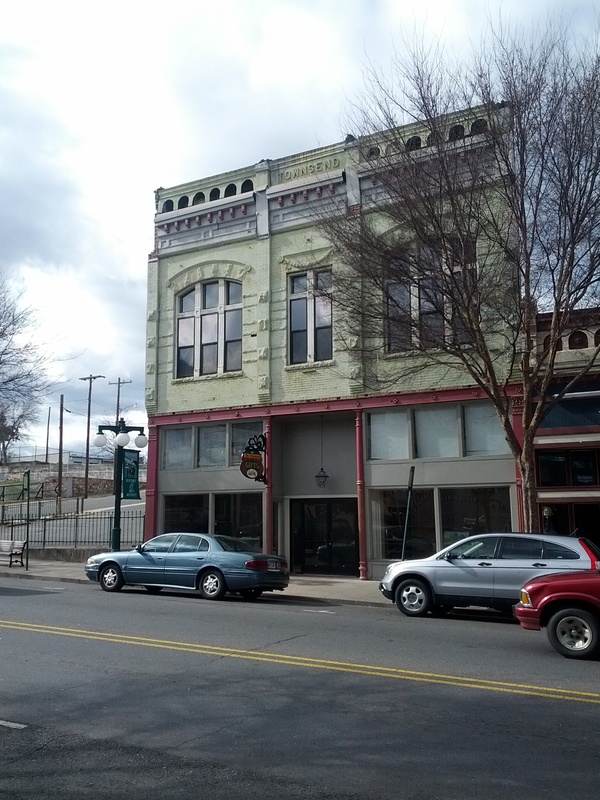 Named after the Quapaw bathhouse, or historic district, in downtown Hot Springs. Named after the historic Prospect avenue district. Named after a Jewish hotel just down the road from me on Prospect near downtown Hot Springs. I love walking by this one and checking out the tile work on the front stoop. It’s in terrible shape these days but I think it’s slowly being restored. Named after the Fordyce bath house downtown on bath house row. Named after a really cool, Art Moderne style hotel on Park Avenue in Hot Springs. One of the coolest buildings off the main drag. I’ve admired this one for years and am happy to have a pen named after it. Some of my pens have names unrelated to any Hot Springs architecture. Orville Vanness, the man who started Vanness Pen in about 1938, inspired the name for this model. The Vannesses have been very good to me, and have been great partners to work with over the last couple of years, so my most traditionally styled pen got this name. The design for the Shinobi came from a guy who went by the name of Inguz, on FPN. He gave it the name Shinobi and you can read all about it here. The Breaker was another one of those customer requests to make a pen that looks a certain way. The name comes from the wavy shape, and the breaking waves on a beach. Enjoyed meeting you today, looking at your pens and buying your art cards. Need to refer my friend to you but neither your card nor your website has your phone number or your address which I would like to have. Shawn, a very cool story and great nomenclature with lots of great hotel buildings history and beauty in/around H. S.! Very nice. I see a baseball pen/series in your future?? Is a big weekend in H. S. this weekend with the baseball celebrations. “The First Boys of Summer” is a great documentary about the beauty and history of H. S. and it’s ties to professional baseball. Believe I heard today that 40% of current baseball Hall of Fame members have had ties to Hot Springs’ baseball history? Great design work – am looking forward to my first Newton Pen.